Bhubaneswar, Oct 31 (IANS) Odisha Chief Minister Naveen Patnaik on Tuesday announced that the state government will take up the renovation and conservation of Assamese litterateur late Lakshminath Bezbarua’s heritage residence in Sambalpur. The government will preserve the heritage property at its own expense. “I and the people of Odisha have immense respect for Lakshminath Bezbaroa. 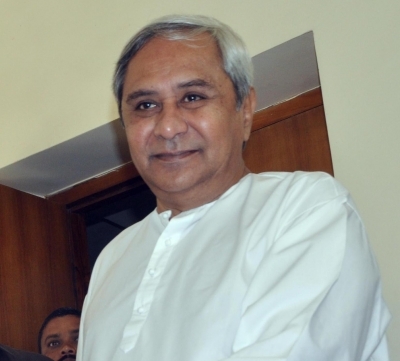 The state government will renovate his residence in Sambalpur at its cost and take care of it,” Patnaik said. Patnaik made the assurance while meeting Assam’s Cultural Affairs Minister Naba Kumar Doley and Chief Minister’s Media Adviser Hrishikesh Goswami here. The Minister and the official are in Odisha as per Assam Chief Minister Sarbananda Sonowal’s direction to take up the matter with the state government here. The government assured that it would desist from any action leading to demolition of the heritage building. The Indian National Trust for Art and Cultural Heritage, a non-profit, will be assigned to prepare the renovation plan. Initially, Rs 50 Lakh will be spent on renovation, said Odisha Tourism Minister Ashok Chandra Panda. Hrishikesh Goswami thanked the Odisha government for the proactive measure to preserve the residence. Before meeting the Odisha Chief Minister, they had visited Bezbaruaha’s residence on Monday and interacted with district administration in Sambalpur. Notably, Sonowal on October 27 talked to his Odisha counterpart Patnaik over phone and requested him for the preservation of the residence, which is intrinsically associated with the emotions of the people of Assam. Born in 1868, Bezbarua enriched Assamese literature with his essays, plays, fiction and poetry. He is popularly known as Rasharaaj or the king of humour for his satirical writings.